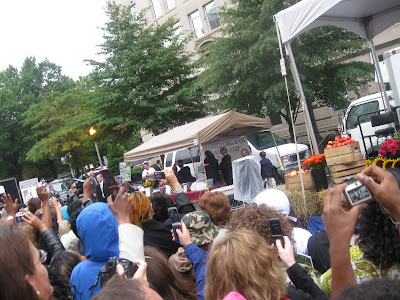 A huge thanks to Sylvie of Thrifty DC Cook for sending in these photos of opening day at FreshFarm's new market by the White House. 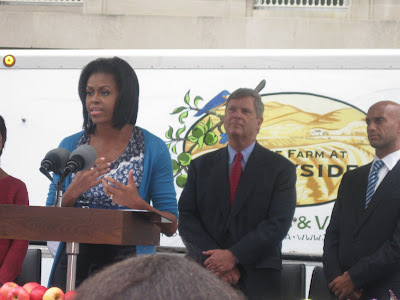 Michelle Obama told the crowd she's never seen so many people excited about fruits and vegetables. The crowd waits for the first lady. 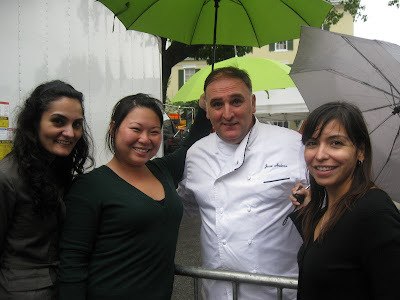 Chef José Andrés poses for a pic. Check out Obama Foodorama for more photos.